4 Bedroom, 3 Bath Country Home on just over 6 Acres. 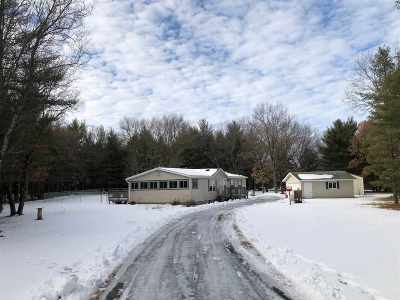 This beautiful, well maintained manufactured home features an open concept living room, Kitchen with an added Office or play room with it's own entrance. Master suite and another bedroom on the main floor with a Master bath and a guest bath, 2 bedrooms and another bathroom in the lower level. All appliances are only 2 yrs old with extended 3 yr warranty, New cabinets, Roof in '16, new flooring, bathroom remodeled, New doors & garage openers. You will love the 20'x24' Garage & Huge 30'x40' Pole building w/electric. This is the perfect move in ready home!